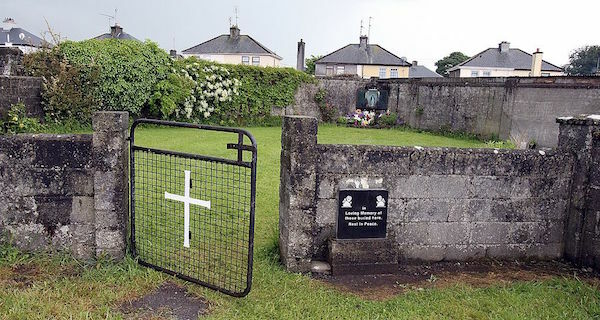 Paul Faith/AFP/Getty ImagesUp to 800 babies and children were buried in a mass grave in Ireland near a home for unmarried mothers run by nuns, new research showed, throwing more light on the Irish Catholic Church’s troubled past. Historian Catherine Corless was convinced that there — long-buried in a sewage system under the streets of a little town in Western Ireland — were the discarded remains of babies. Possibly hundreds of them. For years, no one believed her. This week, though, a state-appointed dig uncovered “significant quantities of human remains” at the site of St. Mary’s House — a home for unmarried mothers and children that had run from 1925 to 1961. Excavators, who have been investigating over the last four months, found a long underground structure that had been divided into 20 chambers, according to a statement. Bodies, ranging from premature babies to three-year-olds, were found in 17 of the little rooms. Subsequent tests suggest most of the remains date from the 1950s. Corless has been poking around the subject for years. Having grown up in the area, she remembers going to school with children from St. Mary’s — which had been owned by the state and run by the Sisters of Bon Secours, a Roman Catholic order. In Ireland, a country known for its strict Catholicism, women who became pregnant outside of marriage were considered sinners and faced stigma and abuse. Their children were also shunned, and Corless remembers her St. Mary’s peers appearing malnourished and being kept to one side of the classroom in school. She began her investigation of St. Mary’s in earnest when she discovered 796 death certificates for young children, but was unable to find any burial records. She carefully studied the grounds and old documents. The building itself had been torn down in the ’70s and replaced with a housing development, but Corless was able to deduce that the children had been buried in an unofficial graveyard — possibly in the sewage treatment facilities. 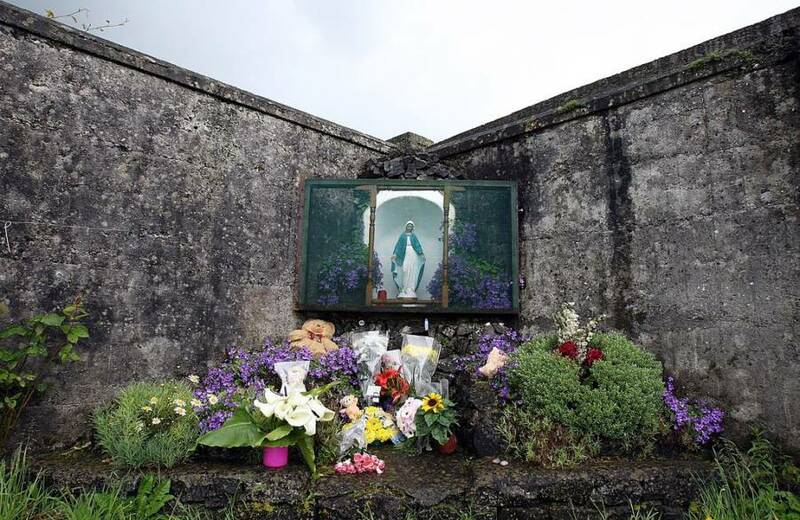 Paul Faith/AFP/Getty ImagesThis picture shows a shrine in Tuam, County Galway in memory of the children buried there without a grave. But the history of the homes began garnering international attention (due, in part, to the film “Philomena,” which was based on the true story of an Irish woman looking for the son who had been taken from her in a similar home), and the government of Ireland created the Commission of Investigation into Mother and Baby Homes in 2015. The commission has been examining abuse allegations in 17 other similar institutions. Corless said she hopes that the information uncovered by the investigations will help families affected find peace. “I was thinking of all the survivors of the Tuam home who have brothers and sisters buried there and I knew in my heart and soul that they would be delighted with this announcement because they want a grave to visit,” she told the BBC. 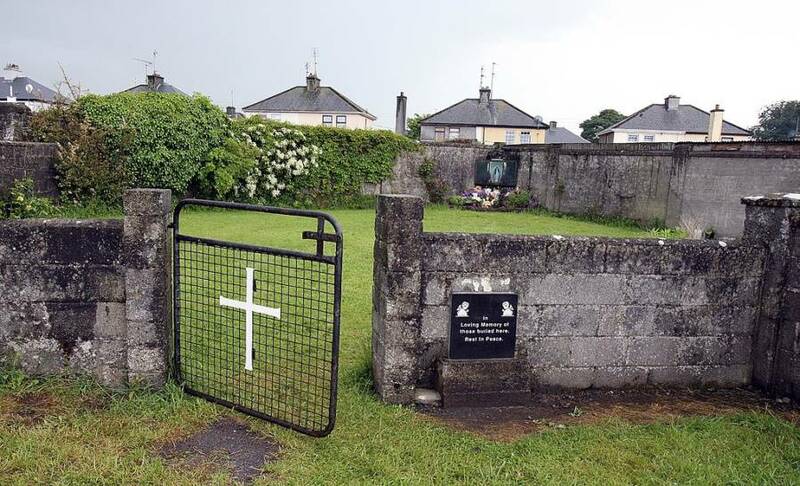 Though the commission itself does not have the power to award compensation, the town’s archbishop has said the church will work with the families to identify remains and provide a “dignified re-interment” in official graves. Next, read about the recent discovery of thousands of unknown Nazi “killing fields.” Then, the gruesome crimes of the only Catholic priest ever executed in U.S. history.